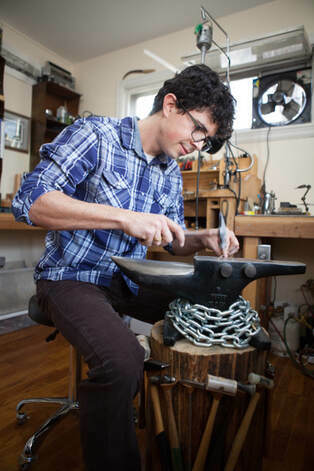 Intermediate or advanced metalsmithing skills are required for this class. When Alex Boyd was a young boy he stole an enchanted ring from a powerful bruja. That night his slumber was disturbed by a tapping at his window. When he slid the window open a huge raven rushed in, flew around the room and perched on his bookshelf. "I know what you have taken from me," the raven cawed. "I don't know what your talking about," Alex lied, hiding his bejeweled finger behind his back. "No matter. It is your problem now. 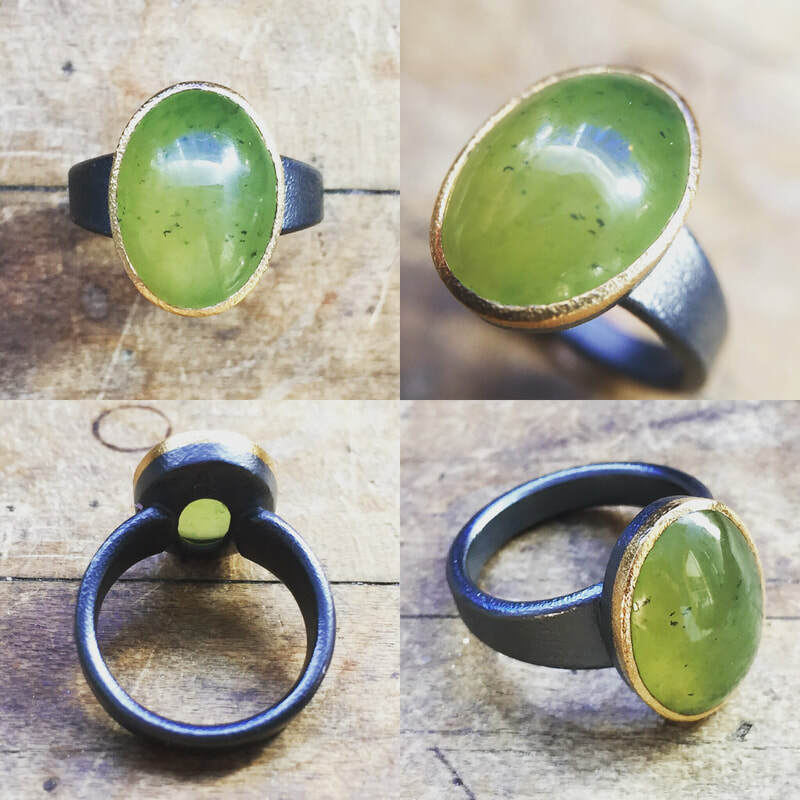 The wearer of that ring is indentured to create more talismans of power, either for 1000 years or until he makes something so sublime, so perfect, so beautiful that the spell is broken and he is freed." "1000 years it is," Alex said as he thrust the raven out the window and slammed it shut behind her. He has been making jewelry ever since. Saw blades, files, sanding sticks, etc.